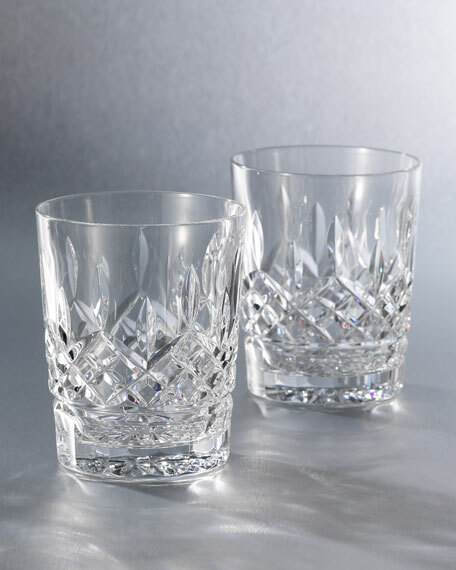 Lead crystal double old-fashioned glass in Waterford's most popular pattern, "Lismore."  Introduced in 1952, "Lismore" was designed by Miroslav Havel and named for a town in County Waterford, Ireland.  This crystal pattern is a masterful balance of simple, brilliant cuts.  Waterford crystal is crafted in Ireland.